Nikos Hadjikyriakos-Ghikas (Nikos Ghika), artist: born Athens 26 February 1906; Hon RA 1986; married 1961 Barbara Warner (nee Hutchinson; died 1989); died Athens 3 September 1994. It was in 1945 that Peter Watson, the owner and art editor of Horizon magazine, asked me to look at some photographs of paintings by a Greek artist which had just arrived through the post. I remember well our enthusiasm for their freshness, clarity and strength. Their subject was inspired by houses in Hydra, the geometry of which was full of Mediterranean light. The style was a revitalised Cubism. It was at once decided to reproduce the paintings in Horizon. That autumn I met the painter himself – Nikos Ghika – on his first visit to London. I found an immediate rapport with him, talking to this seemingly most English of Greeks, elegantly dressed, serious, charming, approachable. 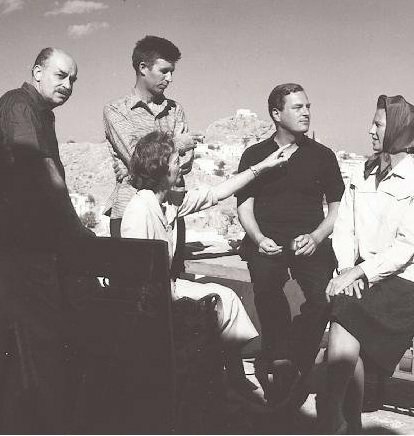 Like so many of my fellow artists then I had a deep desire to go south to the Mediterranean. Greece was very much on my mind. To find a sympathetic artist who would welcome me in his native country gave me added impetus. I mention this first meeting with Ghika, for it is quite typical of how European painters are often cross-pollinated by chance encounters. Next year, in May 1946, it was my good luck to find myself in Athens. There began a friendship with Ghika which lasted till his stoic death 48 years later. Ghika was always aware of the importance of influences, both unexpected and those discovered by intent. These happen all the time in the arts, in music especially. In 1922 Ghika determined at the early age of 16 that he would go to Paris to continue his studies as a painter. He was already a mature student, raised in a cultivated European Athenian society, and was gifted with languages. A year later he was exhibiting in the Salon des Independants. His first one-man show was held in 1927 and presented by Maurice Raynal. These years were a wonderfully fertile period for a young painter. Ghika enjoyed a close friendship with most of the leading painters and poets of the time, especially Jean Arp and Jean Helion, with whom he had a joint exhibition in 1934. On this occasion, Ghika showed paintings and some stunning bas-reliefs which reveal how rapidly his artistry had developed. Back in Athens later in 1934 he began to plan the publication of The Third Eye, a Greek-language monthly review of arts and letters, in which Ghika and his friends published the works of avant- garde painters and sculptors, such as Paul Klee and Wassily Kandinsky, and of writers not previously translated into Greek, among whom were Matila Ghyka, Alfred Jarry (Ubu-Roi) and James Joyce (Ulysses). Ghika himself was represented by his essays on ‘Elements of a Language of Plastic Art’, ‘Introduction to Harmonic Tracings’, and ‘Introduction to the Law of Numbers in Art and Technique’. The seeds of the modern movement had reached Greece, but were broadcast on very rocky terrain. Once returned to his homeland, Ghika discovered that his rejuvenated philosophy of Cubism already had deep roots in medieval Greek painting: reversed perspectives, dismissal of the horizon line, economical use of colour and colour used emotionally rather than descriptively. These aesthetics are to be found in Byzantine art, for example in the mosaic of the city of Nazareth; in the church of Karye Tzami in Constantinople. What was dismissed in the 19th century as primitive, was now accepted as an escape from the tyranny of photographic representation. Painters were now free to find joy in transformation instead of being restricted by imitation. This was the freedom that Ghika reintroduced to his native country. 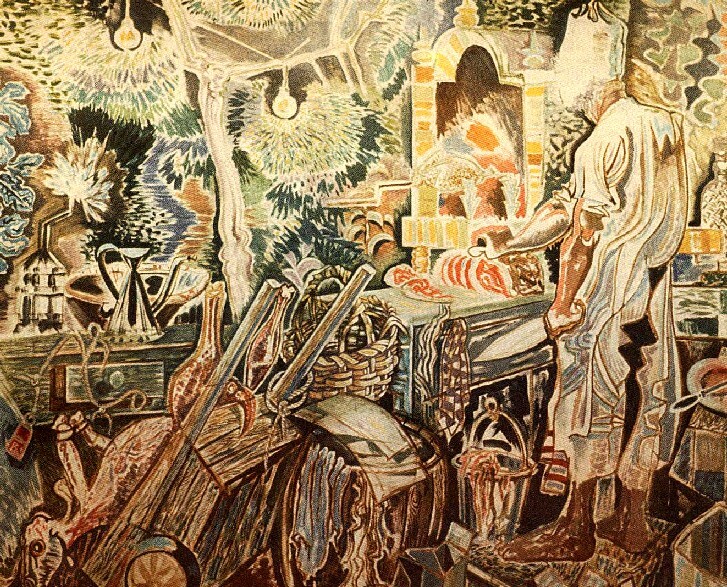 From his earliest years Ghika was an outstanding example of what a serious artist must be in order to survive. He was born with a naturally searching mind, the essential equipment of a creative artist. Furthermore, he was intelligent, human, and knowledgeable, inquisitive, learned, and daring. He possessed, too, a towering dignity and an aristocratic presence. Fortunately, he could also be mockingly witty, satirical, and full of fun. How else could he have translated so sympathetically Edward Lear’s ‘Yonghy-Bonghy- Bo’ into Greek? Ghika was in his element designing for the ballet and the theatre. He was an architect of originality, an illustrator of books, a superb etcher. He created some of the most lovely and inventive sculpture, much of it inspired by ancient themes. He animated whatever materials came into his beautiful hands. Deep down he was a classicist at heart; form and content always in happy union. There is no mistaking his style; he made no paintings that lacked underlying form and all of them respected the scale and dimensions of his canvases. Into his sometimes hidden geometries he poured his poetry of light and darkness, infusing colour into his forms with unmatched confidence, inventiveness, and authority. Always hand in hand with imagination, he let the spirit of poetry invade the labyrinthine city and moonlit walls. Here were landscapes radiant and full of joy as well as of enigma and mystery, so rare these days when so much art is paper- thin. Ghika was a lesson to all young artists for he drew endlessly, helped by an astonishing visual memory. I have never seen a drawing by him that was not searchingly elegant or clearly structural and informative. A recent book of his caricatures is my constant delight. His last years, despite the gnawing loss of his wife Barbara whom he mourned privately, and his failing eyesight, were borne with true stoicism. Fortunately, an Indian summer of recognition in his own land was a solace to him. This final period saw the publication of many superbly produced books on him and by him, among them Ghika: Drawings, by Evita Arapoglou (1992), and Ghika, by Jean-Francois Bonhomme (1993). It is to the credit of the English that the first retrospective exhibition of his painting was held at the British Council in Athens in 1946, that he had six one-man exhibitions in London from 1953 onwards, and a major retrospective at the Whitechapel in 1968. He was elected an Honorary Royal Academician in 1986. Like all great artists, Nico Ghika was an inspirer. He would rebuke all who claimed painting to be easy. Those whose way of painting seems to declare ‘I can do that, too’, would do well to gaze on Ghika’s art and recognise his individuality. This entry was posted in Obituaries, Paddy's Friends and tagged Athens, Greece, John Craxton, Nikos Ghika, Nikos Hadzikyriakos-Ghikas, Patrick Leigh Fermor on November 23, 2011 by proverbs6to10.